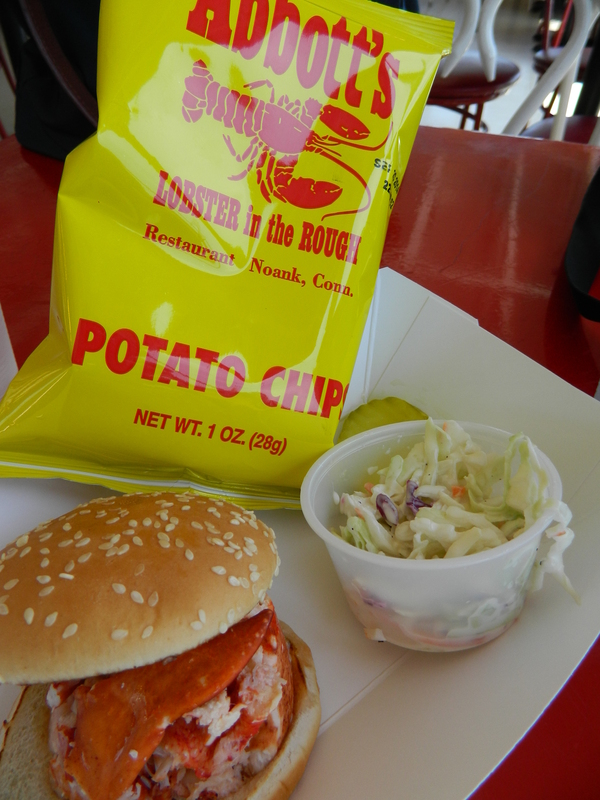 Plump and scrumptious, “Abbott’s Lobster in the Rough” Famous Hot Lobster Roll. 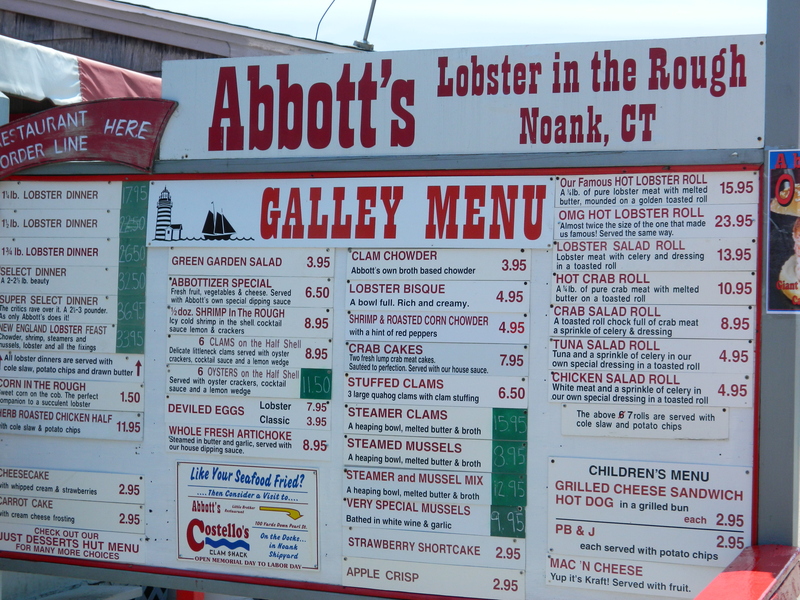 Who could pass up “steamed and succulent” lobster dinners at Abbott’s in Noank, CT? 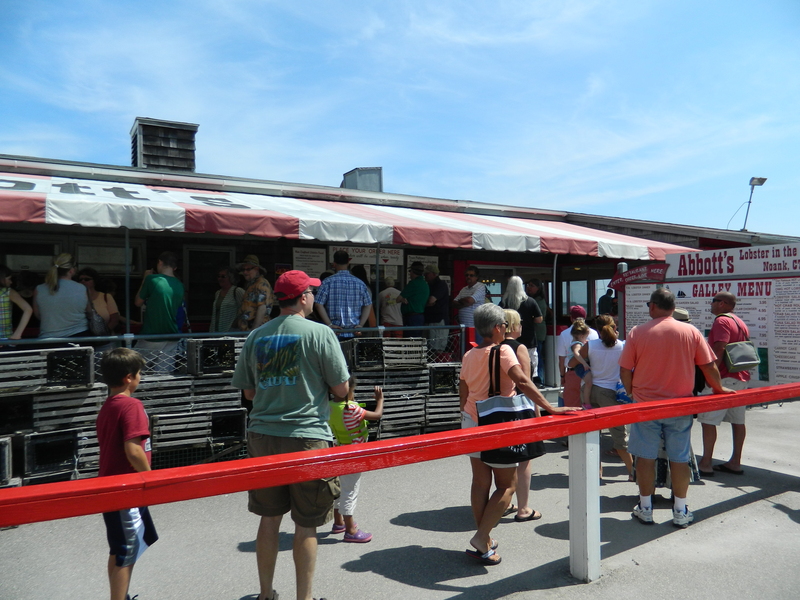 It is like a treasure hunt navigating the twists and turns through the small village of Noank, Connecticut to reach Abbott’s Lobster in the Rough. Waiting at the end is their famous, scrumptious Hot Lobster Roll “a quarter pound of pure lobster meat (more than is found in a small lobster) with melted creamery butter, mounded on a toasted bun”, up to ten pounds of “steamed and succulent” lobster dinners, and more melt-in-your mouth seafood selections. Just thinking about my recent visit to Abbott’s makes me want to return. 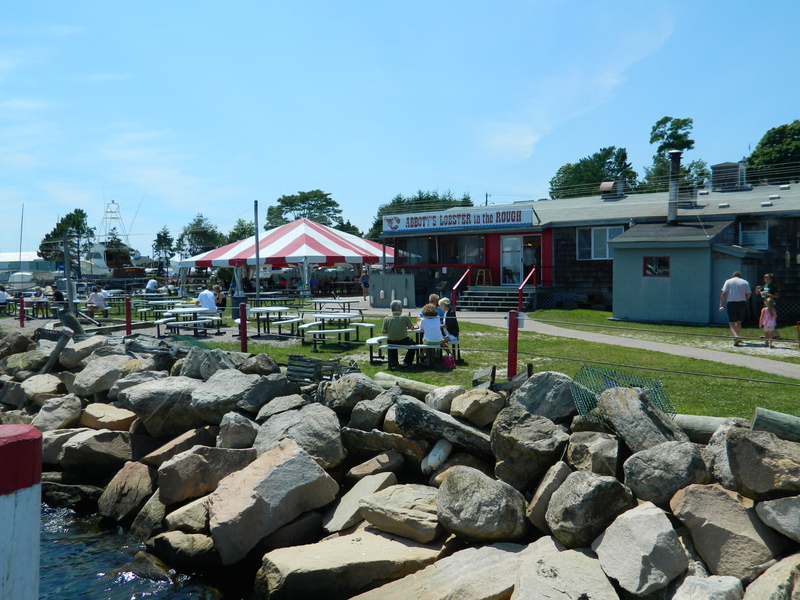 The atmosphere at this shoreline summer landmark is pleasant and relaxing. Seating is available inside a small screened-in dining area, at an ample number of outdoor picnic benches, either shaded or with a chance to soak up the sun, all with an off-the-water view of three states, Connecticut, Rhode Island and New York. 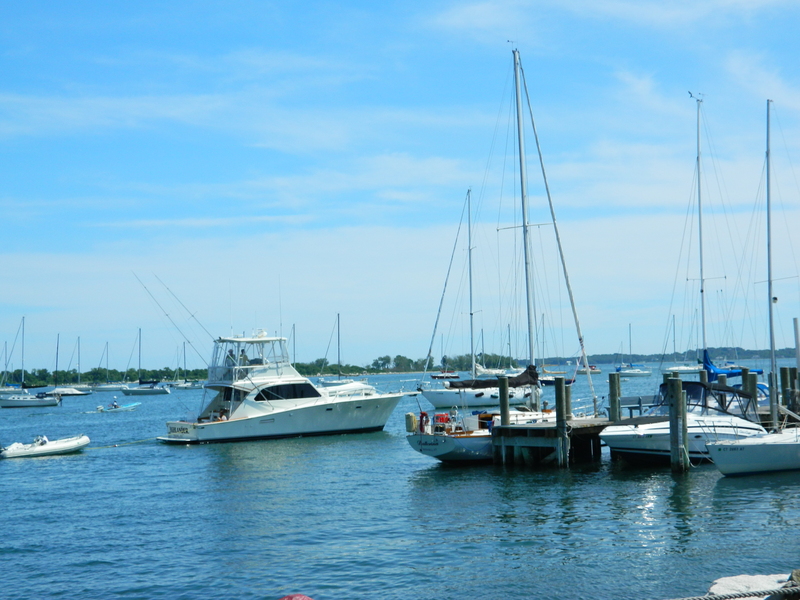 Also part of the view are boats of varying sizes that pass by or dock at mealtimes. Abbott’s is BYOA – bring your own alcohol. Be prepared to wait in line at peak hours, especially on the weekends. Customers start arriving as soon as the place opens. The menu is posted on a gigantic sign board near the entrance. Once your order is placed you are given a number – then wait to be called to the Long Red Counter. 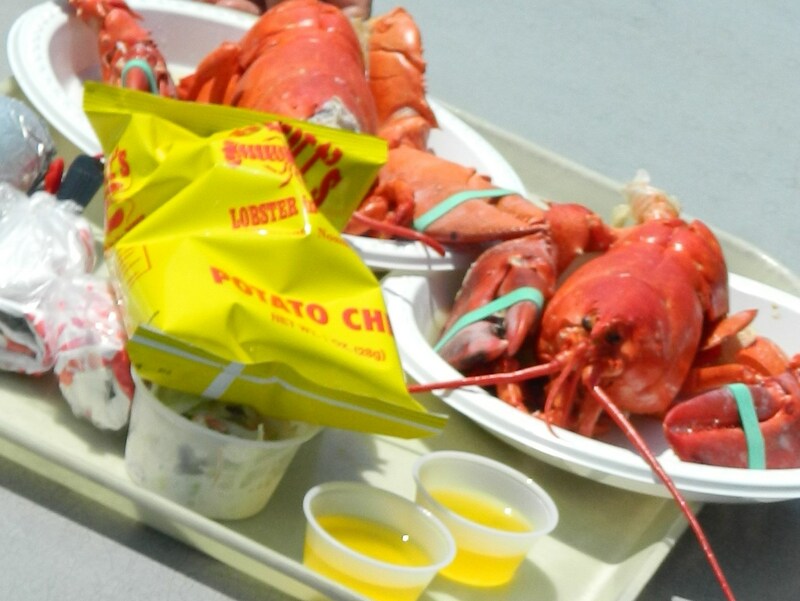 Clam Chowder, clear or creamy, Shrimp & Roasted Corn Chowder or Lobster Bisque can be picked up right away. 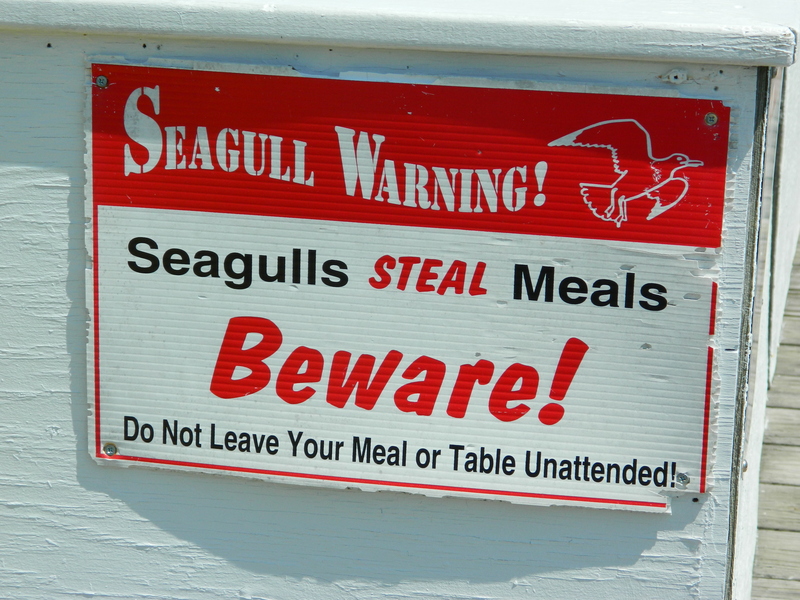 Other popular items include crab cakes, steamed clams, steamed mussels, shrimp-in-the rough, stuffed clams, oysters or clams on the half shell and tossed garden salads. Corn on the cob lovers will be glad to know it can be purchased by the ear. For those non seafood aficionados there are chicken salad roll or oven-roasted half chicken options. And for the kids, grilled cheese sandwiches, peanut butter & jelly or hot dogs. Abbot’s serves soft drinks and milkshakes. 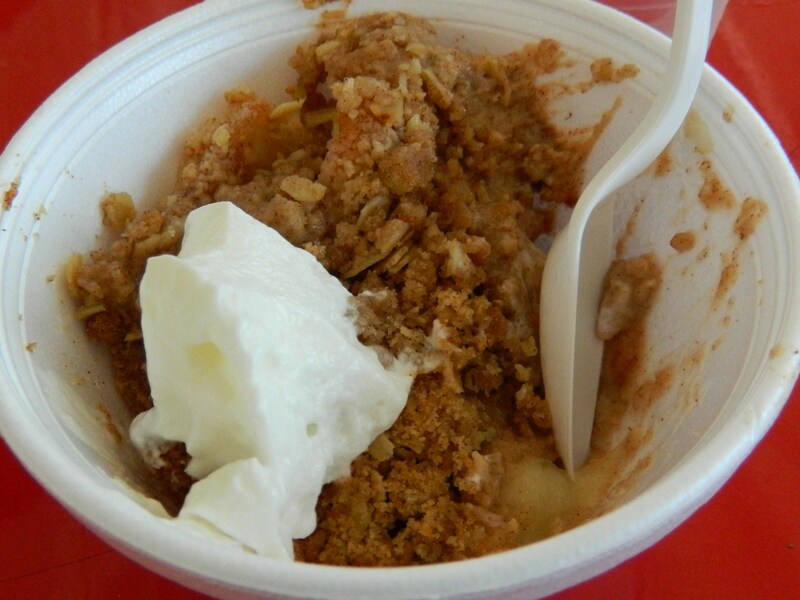 They offer an array of desserts – apple crisp, brownie sundae, New York cheesecake, carrot cake, strawberry shortcake and ice cream with toppings. 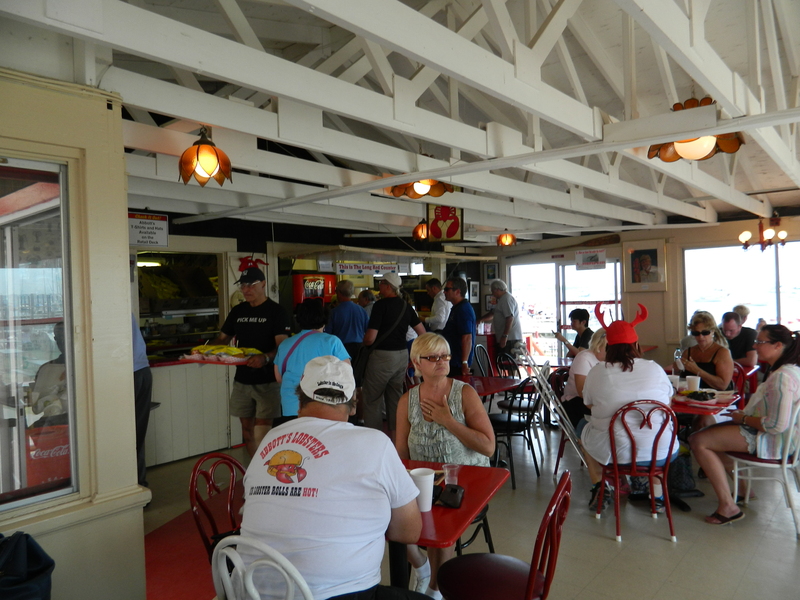 Opened in 1947, Abbott’s seasonal seafood shack is a favorite writer’s muse and has been written up in numerous publications. 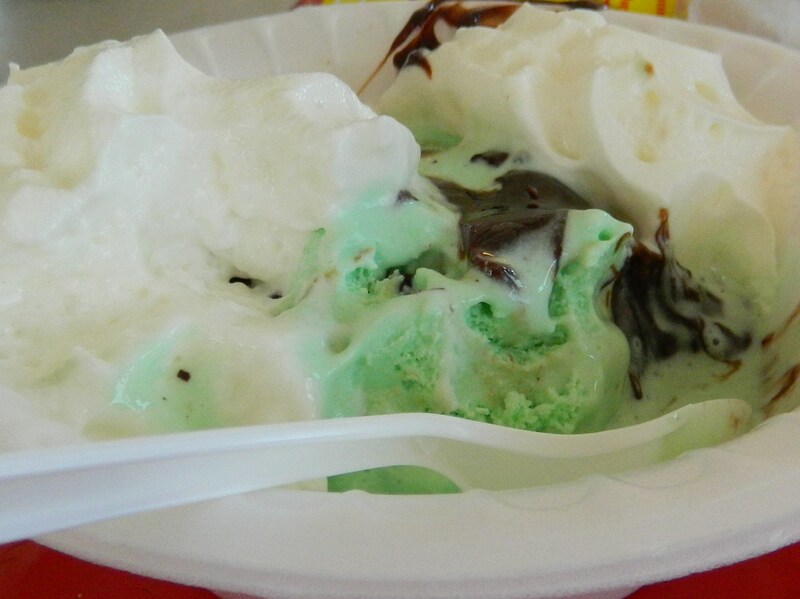 Hot fudge over mint chocolate chip ice cream. This is a great spot to meet friends, come as a group or on a date!